The EBT-only device transactions section only provides instructions for operating EBT-only equipment. All other retailers should use the Operations Manual provided by their TPP. 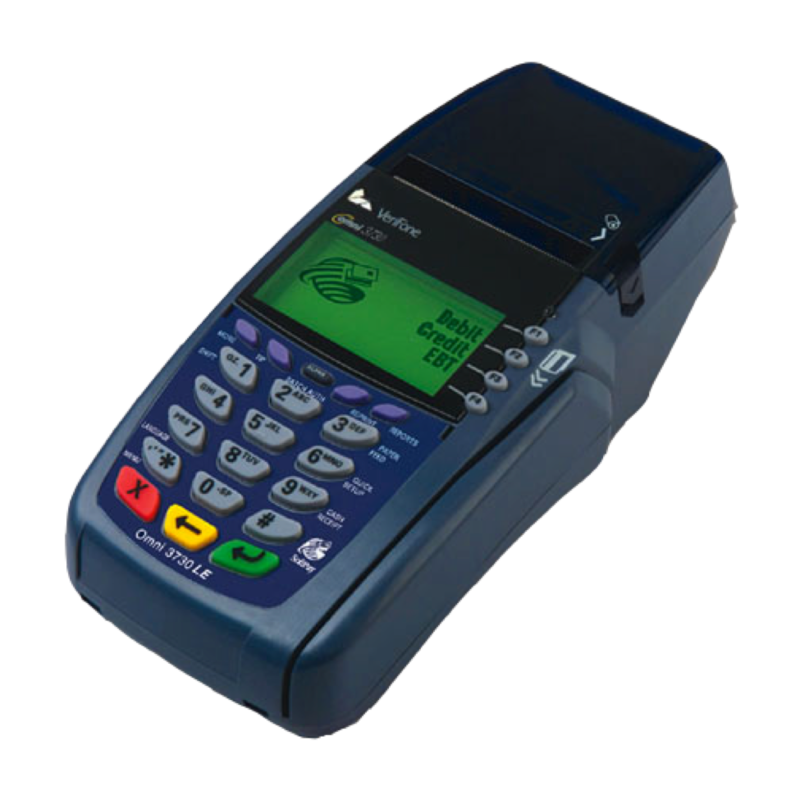 The POS device is an electronic transaction terminal capable of data input, processing, and high-speed transmittal of EBT transactions. The POS device communicates with the host computer via a standard analog telephone line to obtain transaction authorizations for EBT transactions and other necessary retailer functions. 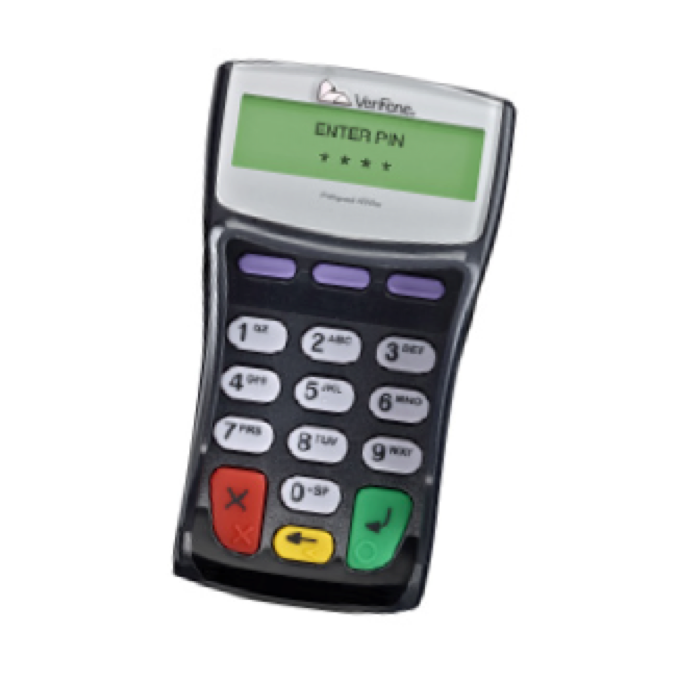 The POS device consists of a magnetic-stripe card reader, a multi-line read-out screen for displaying data input prompts and messages, and a thermal paper printer for receipts. All EBT cardholder transactions require the entry of the card number by swipe or manual entry, the retailer choosing the type of transaction (sale, refund, or balance inquiry) and entering the appropriate amount for the transaction. A complete step-by-step discussion of every transaction can be found in the EBT-Only Device Transactions section found at the end of this manual. The PIN pad is connected to the POS device by a coiled expansion-cord that allows EBT cardholders to enter their four-digit PIN in as much privacy as possible during checkout in the retail store. The PIN pad provides a visual response in the form of a star (*) after each entry is made on the pad, but for security the actual entry will not be visible. 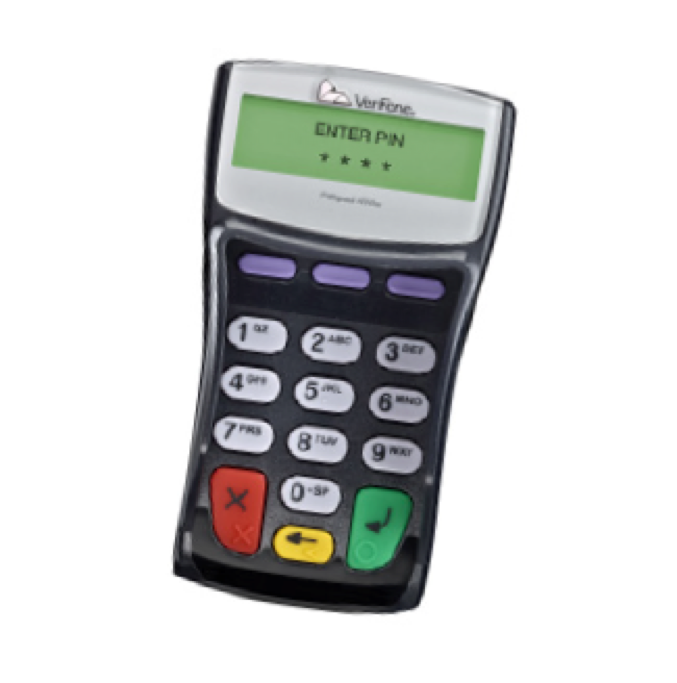 The PIN pad is a secure device providing protection for the EBT cardholder’s PIN from the instant each number is pressed throughout the entire transaction. The EBT cardholder-entered PIN must match the PIN on record to complete the transaction. Alternately the POS device received may have internal PIN pad capability. In this instance the EBT cardholder would enter their four-digit PIN directly on the POS device.